Process Optimization – BME Systems Inc. Your laboratory has a process flow complete with instrumentation and methodology that has been tested and proven over time. It works! But nearly every lab manager knows that parts of their workflow could be automated to make a difference in productivity and reliability. Implementing systems on your own while working is a challenge. Every instrument has software for it’s data collection handling — everything can be exported to a spreadsheet. But lacking internal resources, labs often stop short of the best solution for handling their data. What off-the-shelf data handling products should be chosen? Will the software do the whole job or is the solution targeted to a specific piece of instrumentation or vendor? Who in your organization will responsible for completion of the project? How about training? Who will have the time and how long will it take? Experience counts when deciding what software tools to use to be sure a solution has the greatest benefit, works well and lasts. 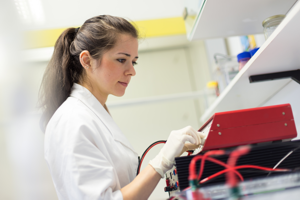 BME Systems can use 30 years of experience to recommend and create technology for your laboratory. We can look at the big picture of your processes… ask the right questions, recommend and, wherever needed, implement complete solutions that let you concentrate on what you do best – the work of your company. There is no risk, because we help you design a system that works for your laboratory. Then… we are responsible for making it happen. Is your laboratory subject to cGMP (current Good Manufacturing Practice) regulation? BME Systems can work within your cGMP guidelines to develop systems that include vendor acceptance tests that can be used as a template for your validation. Design documentation provides assurance that a project will completely satisfy your needs. Documentation we create to test the system can also serve as a training tool as well. Success is virtually guaranteed. Helping to decide what should be done (and when) and what should not (until when). Not everything should be automated. We know the low hanging fruit with the best return on investment. Identifying the right scope for a project involves many factors and is key to successful implementation. Identifying the true cost. Management needs to know the complete cost of a solution right up front, not just the price tag on a piece of commercial software. BME Systems can identify the cost of the components, costs for implementation and the ongoing maintenance of a proposed solution…. essentially the total ownership cost. Phasing the project. Sometimes it’s feasible and best from an operational standpoint to phase in a solution. From beginning to end, involving personnel in the timing and method for implementation of a system in a working environment is extremely important. BME Systems has experience knowing how to phase a project so that all factors, including budget constraints are satisfied. Working with your resources. Often companies have personnel whose responsibilities and capabilities touch a project we might propose. We have worked very successfully with technically skilled IT, engineering and lab personnel to bring a solution to life. BME Systems can take the lead to integrate a full turnkey solution, or provide the “missing piece” resource that a company lacks for a particular project. BME Systems is also available for consultation. If you want to know factors to consider when implementing a technical project from another vendor, or if you need a “fly on the wall” when deciding between vendors, we know what to look for.